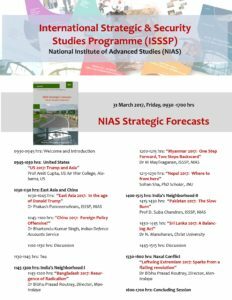 The International Strategic & Security Studies Programme at the National Institute of Advanced Studies (NIAS), has been publishing a series of Strategic Forecasts highlighting trends, threats and projections on contemporary developments at the regional and global levels. 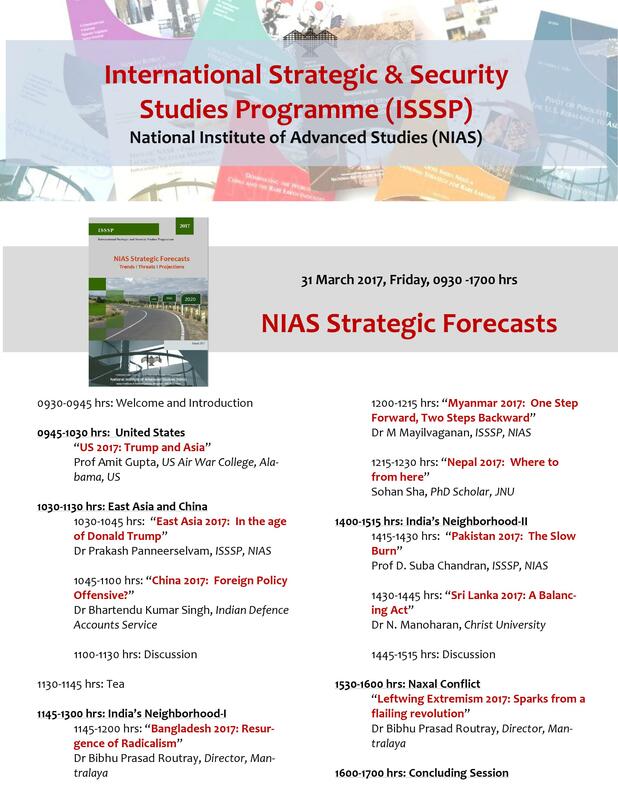 As a part of this series, the ISSSP is launching a series of new reports on 31 March 2017, followed by a full day discussion pertaining to US, China, East Asia, Bangladesh, Myanmar, Nepal, Pakistan and Sri Lanka. We invite you to take part in this Forecast discussions and add value to the contents. The discussion will take place at the NIAS Conference Room between 0930 and 1700 hrs.